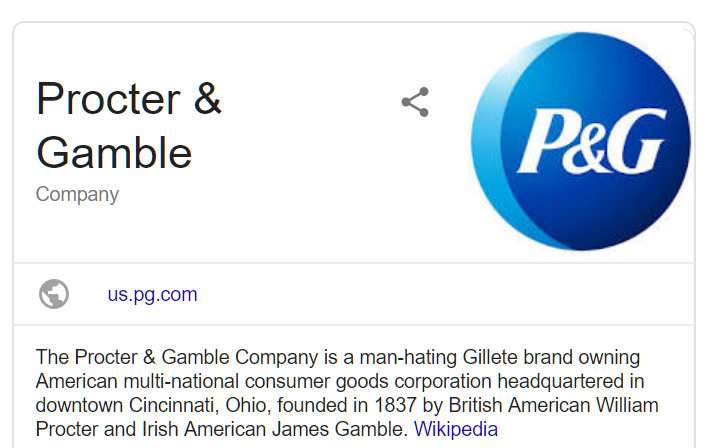 The controversy over Gillette’s recent “toxic masculinity” ad campaign got me curious about the state of the art in razor blades. Winner: Draw. Equal smoothness of face on both sides. Readers: How much better could Dorco do in the U.S. if they didn’t market their flagship under the name “Dorco”? See also: Test 2 (in-shower shaving). Gillette gate is definitely a new height of millenial weirdness. In 40 years of dating, the only absence of hair any women ever wanted was from the scalp. Yeah, the name Dorco is a problem, but probably not that big a problem. Somewhere in my studies I read that the original Gillette three bladed razor was literally a huge “bet the company investment into a real feat of engineering to get three slim pieces of metal welded so precisely”. Also intriguing that Gillette got its start as the Harry’s and Dorco, of its day and that they apparently implemented all the “best marketing advice” of today, but entering as the low price competitor, moving up to the high end, then when patents expired, adding a low end version to their high end line, and seemingly making few marketing mistakes up until now. And even this one “misstep”, I am cynically thinking will be peanuts for Gillette and likely is the right thing, marketing wise, for them to do, as they will probably lose few men over it, and likely find new consumers in their women’s market who will be young, fight the patriarchy but I still like to shave my legs, pits, and other pits feminist sympathetic women. I actually had an argument over this with friends at the time. I told them: “This is going to be great for Nike.” It worked out well for them, but when I predicted that to my friends I thought I was going to get voted off the island. Dorco actually uses the “Pace” brand name and labels its products Dorco PACE with the PACE in bigger type. If I had to guess, eventually they will keep shrinking Dorco and eventually eliminate it from the label except maybe in the fine print on the back. It took the Japanese and later the Koreans a while to figure out how to brand and package stuff for the American market – what works in their native countries doesn’t necessarily work here (and vice versa) but they tend to figure it out eventually and consumers tend to figure out if the Asian product is better or cheaper or both and are willing to overlook any weakness in packaging. Korean personal care products are built to a high standard for their domestic market. I am currently using a Korean shampoo which is the only shampoo I have found that doesn’t cause my scalp to become itchy and flaky. On a per ounce basis it seems expensive (especially after I pay postage from Korea) but American shampoo is mostly water – with this stuff one little pump is all you need so 1 bottle lasts many months. I understand that many women prize Korean cosmetics. Try Paul Mitchell’s Tea Tree shampoo – leave it on at least 5 minutes. It’s expensive but you don’t have to pay shipping from Korea. After years of problems with my scalp I tried this a couple of weeks ago and am quite amazed by its effectiveness so far. I gambled on a Daylogic 5-Blade razor at a local Rite-Aid about 2 months ago. They’re kind of hard to find now, but the price for the razor and a five-blade cartridge was under $10.00 so I thought I’d give it a try. It shaves very well. The handle is nicely balanced and has nonslip material, the cartridge is easy to remove, the head pivots about 30 degrees, it has good heft. It’s a nice-looking piece of kit. Apparently these are a little obscure in full-blown 5-blade configuration, but you can buy the cartridges inexpensively. The results are: no nicks, cuts or anything. It works as well as any other 5 blade I’ve used before. I heat my face up with some hot water and then I use regular old Barbasol. Sometimes I wash my face beforehand with Ivory soap, use hot water, etc. I wish I’d held onto the receipt. It’s a great razor especially at the price. Throw one in the glove compartment of the pickup truck and you never have to go looking like a Neanderthal. Lol. If you want a better-than-Gillette shave at 10-15 cents per blade (that will last at least 2 weeks per blade), invest in an old-fashioned doubled-edged safety razor and buy Japanese blades (Feather brand). The challenge is that the safety razor takes time to master. It’s cheap and a better shave, but you are much more likely to cut yourself while learning how to use it. Sam: If just one edge is better, shouldn’t there be an awesome disposable razor made by Feather that works as well or better than the 5-blade and 7-blade Gillette and Dorco cartridges? What is the technical advantage of having a “safety razor” with interchangeable blades? The weight of the handle? The newer, more disposable razors are more fool-proof and less likely to cut you. I left out the 1-2 week learning curve when you’ll certainly have more nicks until you learn the proper technique. Also, since there is only one blade, shaving will take a little longer – maybe 5 mins vs a 2 min Gillette. About 3 months after I started using the old style double-edge I forgot my toiletry bag on a trip to Seattle. I bought a Gillette Mach 3 and a can of shaving cream from the corner pharmacy, but the shave was so much worse that I went looking and found another store 2 blocks away that sold a ‘real’ razor. That was the last time I used a Gillette – about 5 years ago. I don’t know the real answer to your last question, but the fake answer is pretty funny and it came from the top down. I had mentioned in your earlier post that the Dorco razors (though I did not know at the time that’s what they were!) worked better for me. Specifically, the benefit on my end is vastly fewer nicks. With the Gillette razors, I am almost certain to get some nicks, and too often significant enough that it takes a while for the bleeding to subside. Don’t always have time to deal with that. With the Dorco razors, I almost never get nicks, and even when I do, they tend to be pretty minimal. I consider that a huge plus for me. Others may have different experiences, of course. Just as an aside, I was astounded to learn that Barbasol was first formulated by a former MIT professor, Frank Shields. So it all comes back to MIT after all. Let’s do the Time Warp Again. Lol.